8" dia. x 5 1/4" tall, 60 pieces with Tung oil finish, all rings are grain matched. Looks good, send me the photo, but first take a look at the checklist in this link. Nice piece. Like how you matched the grain and tight joints. 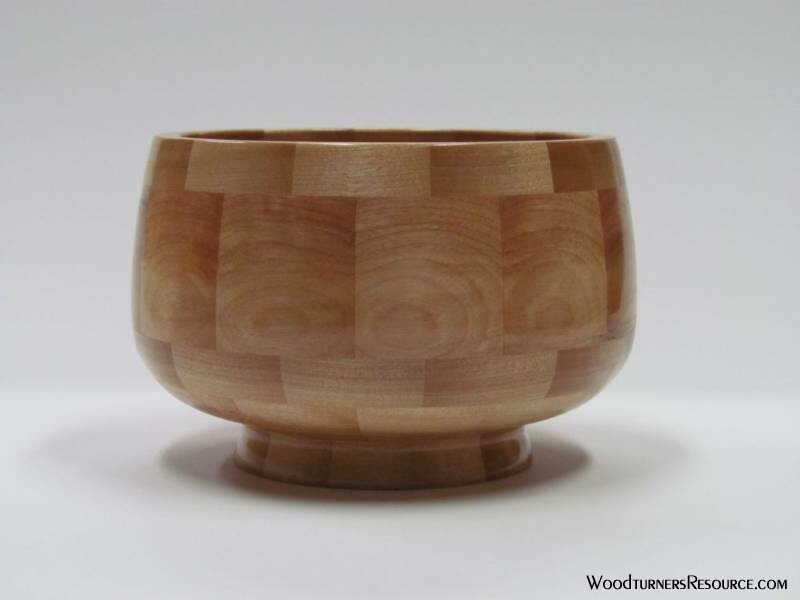 I love the way you did the grain pattern. It looks fantastic. Is this your first segmented one? Very nice Ed. love the segmented pieces, but have no patience myseklf !! Ruining lots of good wood to get a few average bits. Chuck, this is sorta my first. I have done similar but not all one species. As far as grain matching and joints are concerned, I do have lots of flatwork experience. Ed, that flatwork experience shows in this piece. Very nicely done.